Elegant and contemporary perfectly describes The Vendome chair with it's angular, curved upholstered piped finished backrest and seat with beautifully contrasting tapered solid beech legs. Absolute comfort is also at the heart of this design, shown by the cold foam contoured upholstery on webbing, used for your maximum comfort and support. 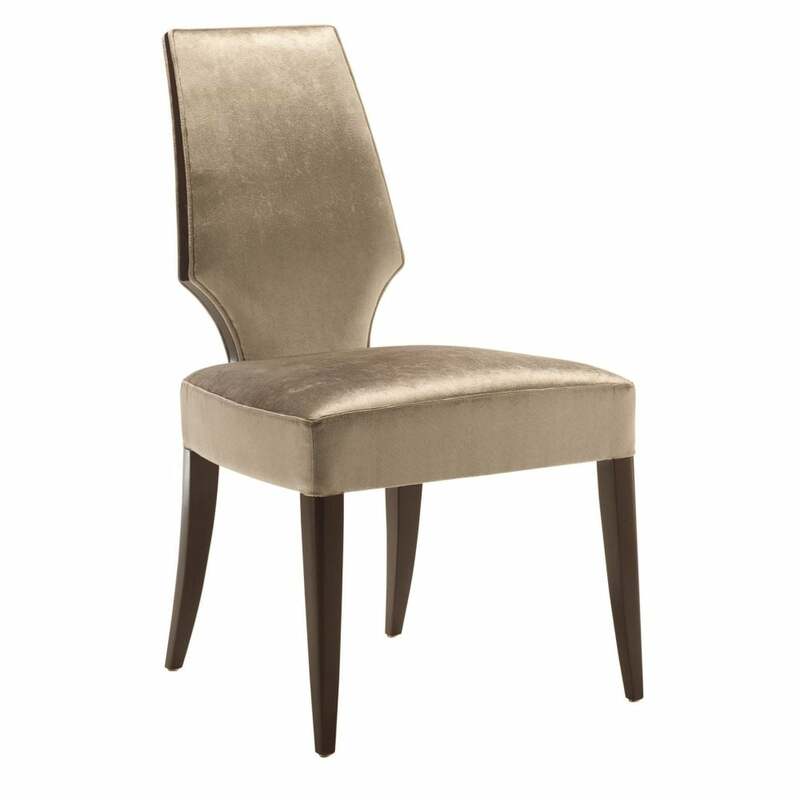 The Vendome chair can be partnered with any number of dining tables, adding that touch of sophistication and luxury to your room set.